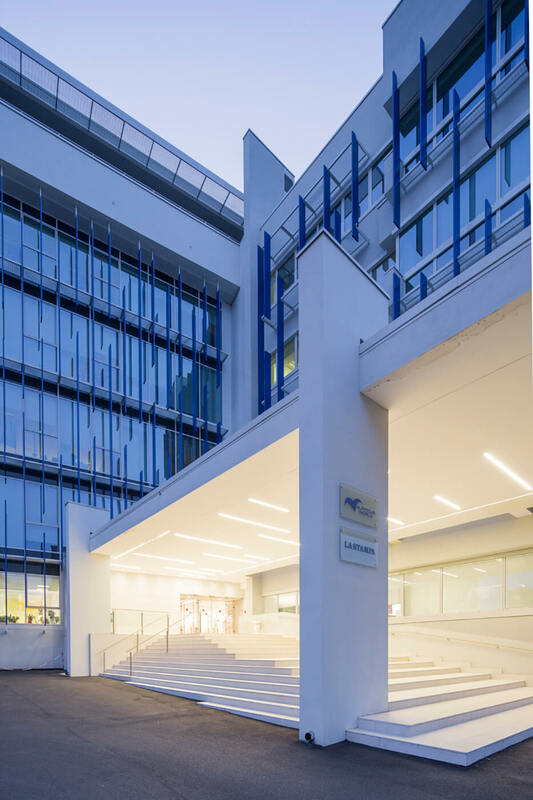 The building in Via Lugaro in Turin, property of Beni Stabili, has undergone a careful refurbishment intervention by the Progetto CMR team. 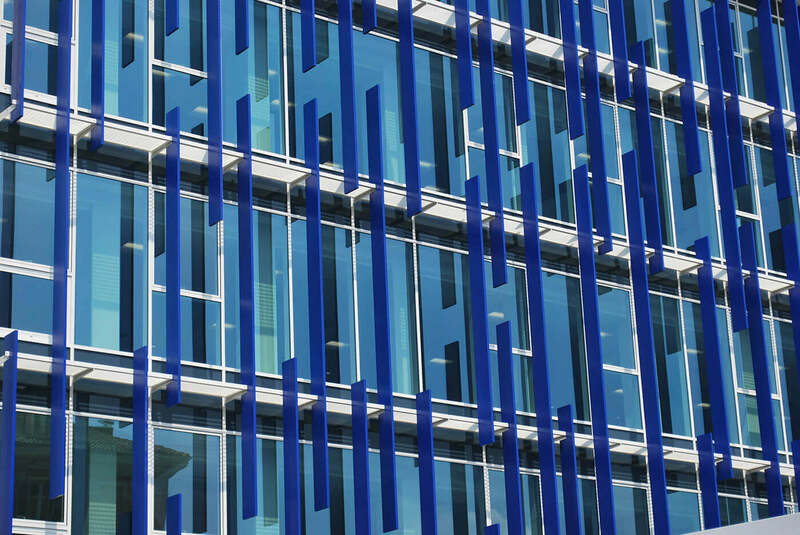 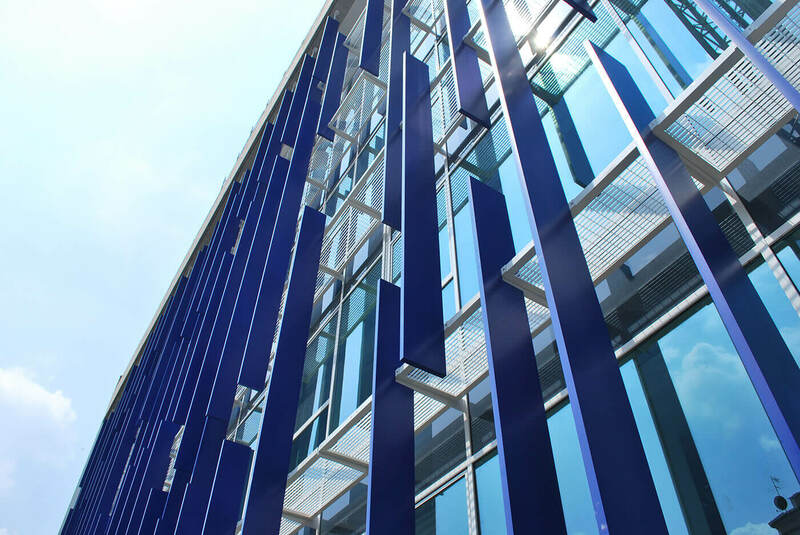 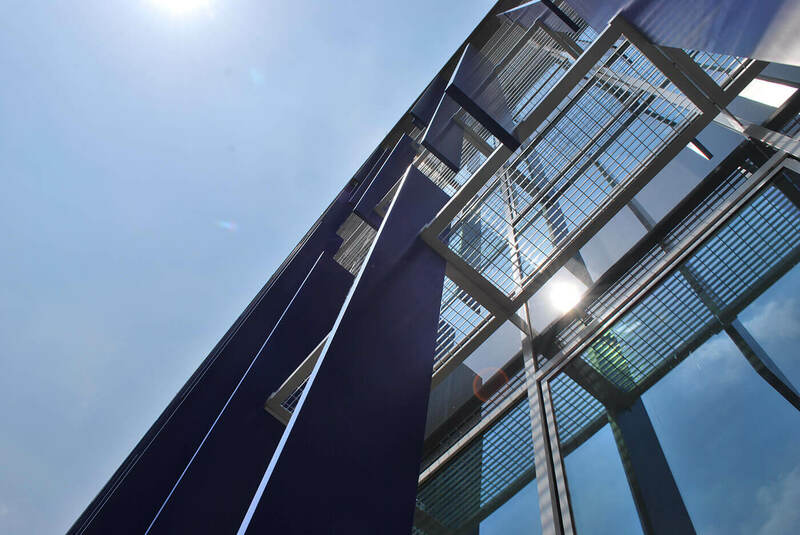 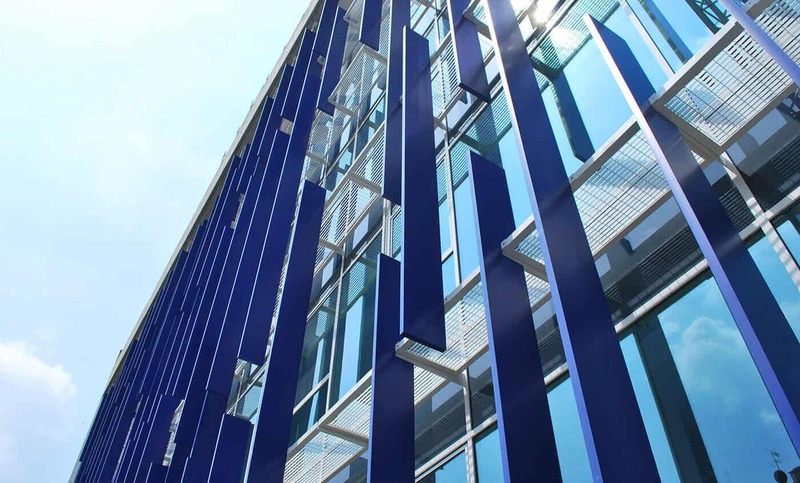 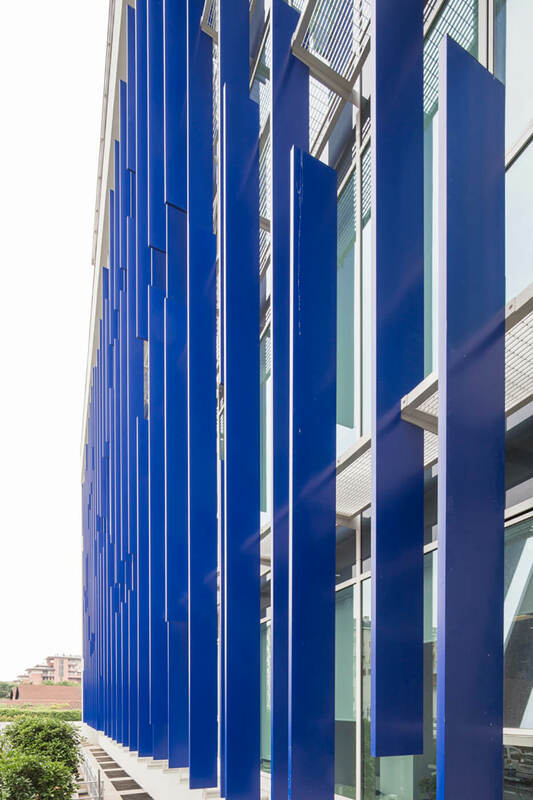 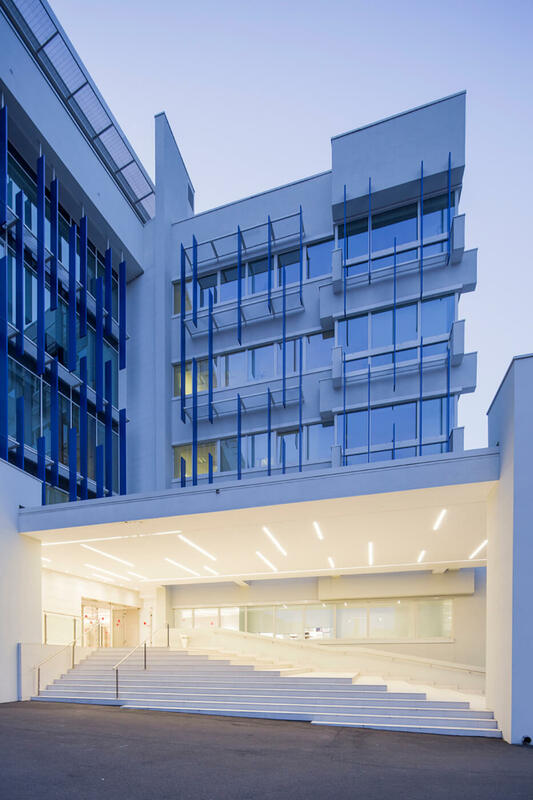 The project, which expected the renovation of the whole property (35.000 mq), both the interiors and exteriors, is characterised by a completely new and fresh image thanks to the realization of a high performance window face characterized by the presence of “bries soleil” blue. 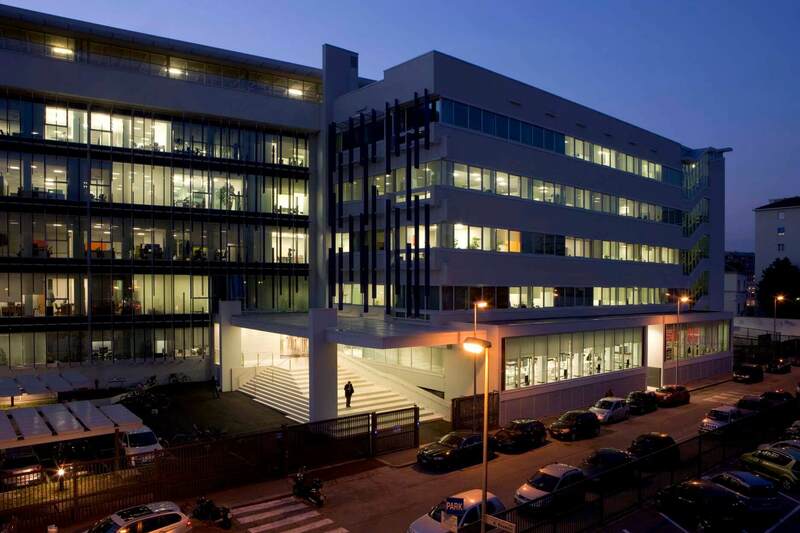 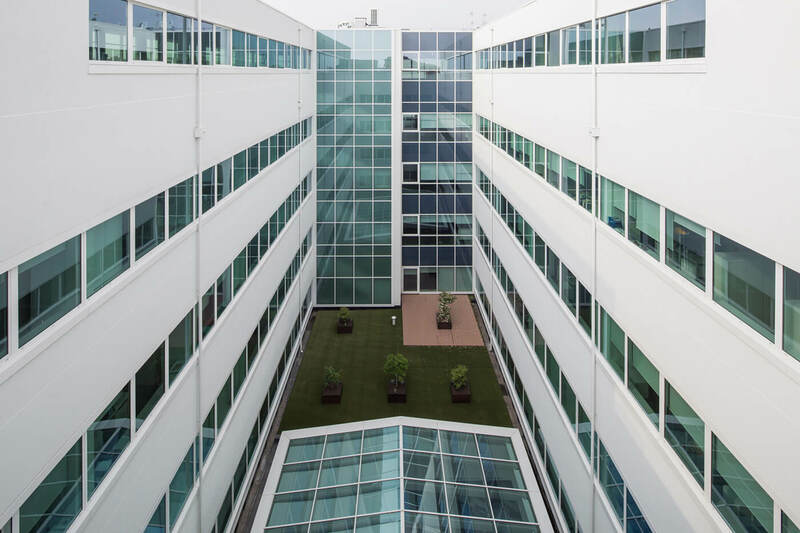 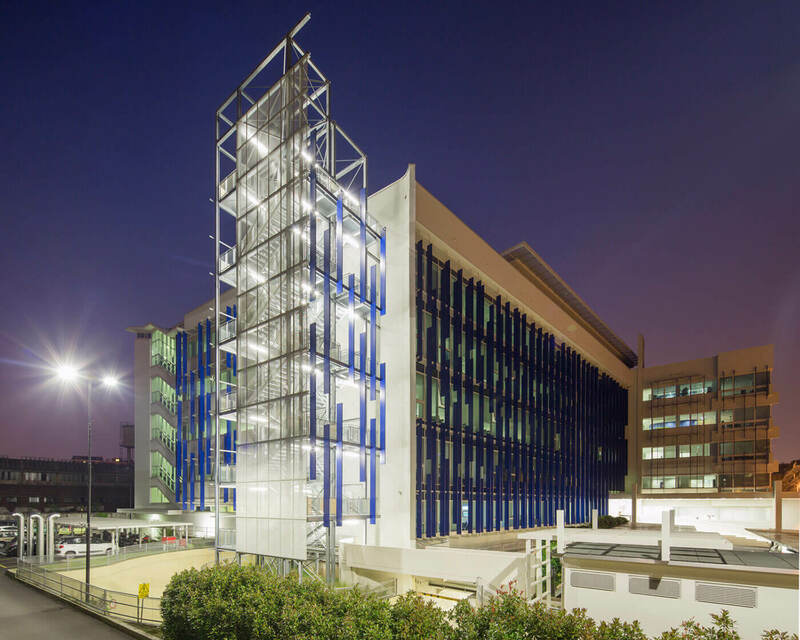 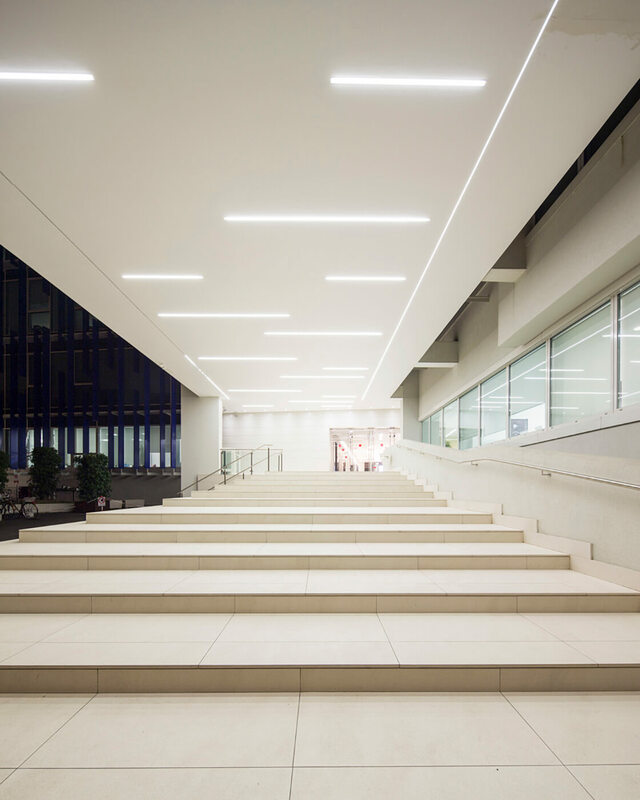 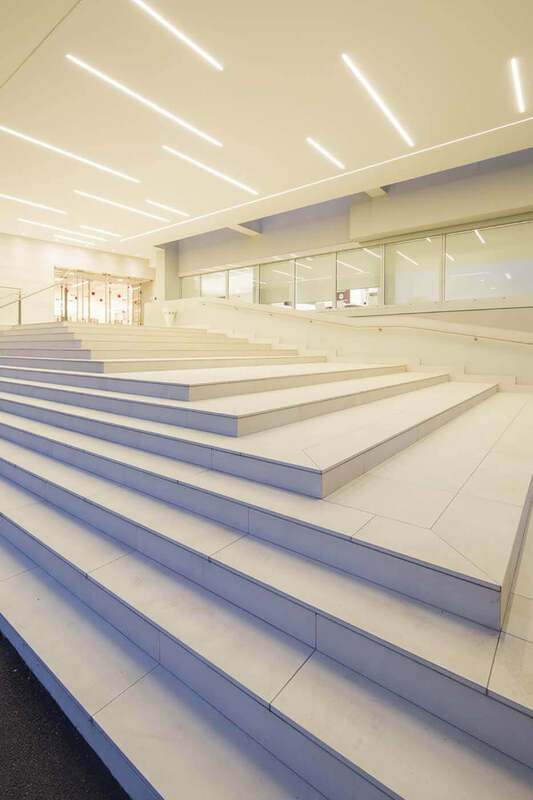 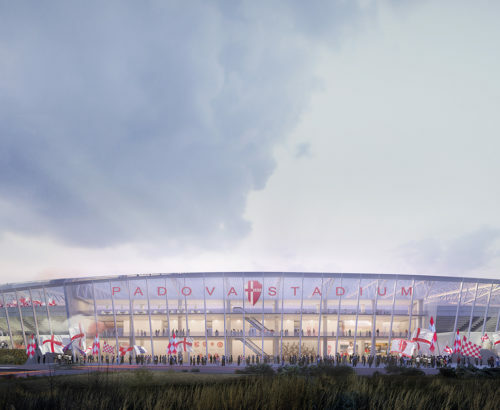 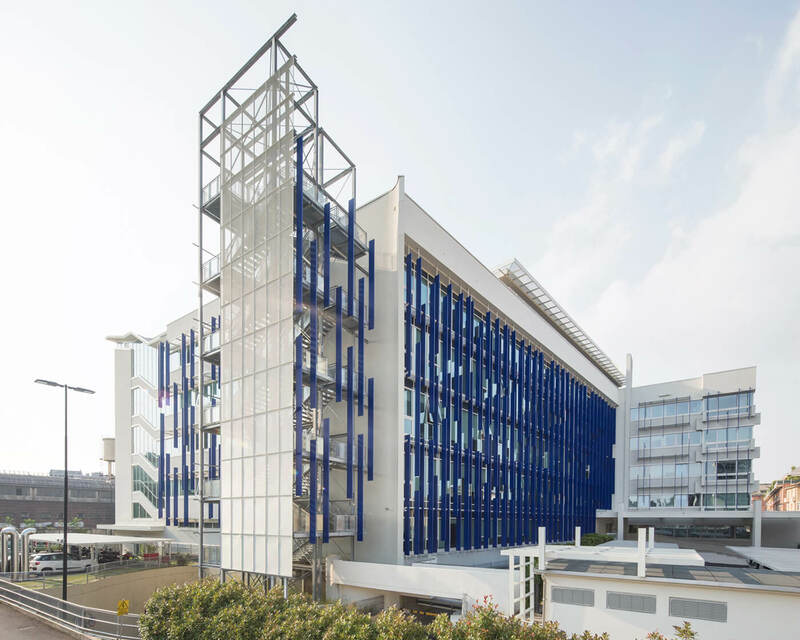 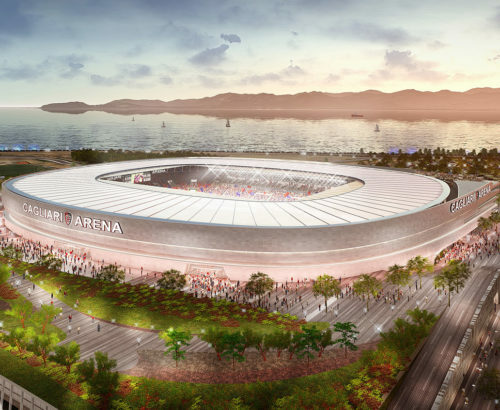 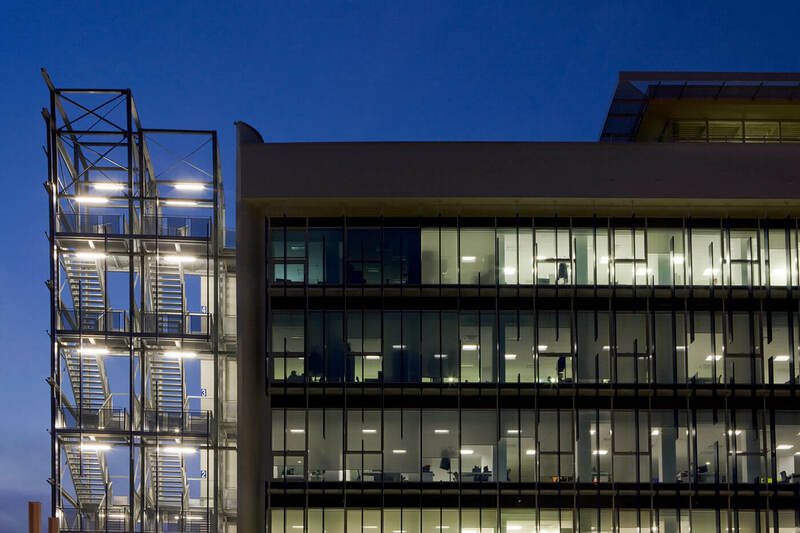 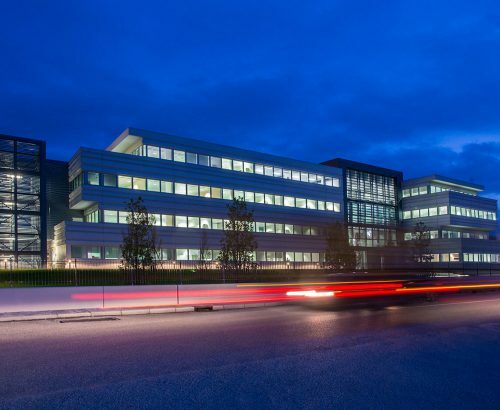 The building hosts the offices of two important companies in their respective sectors: La Stampa and Alpitour, which are both objects to Progetto CMR’s advice. 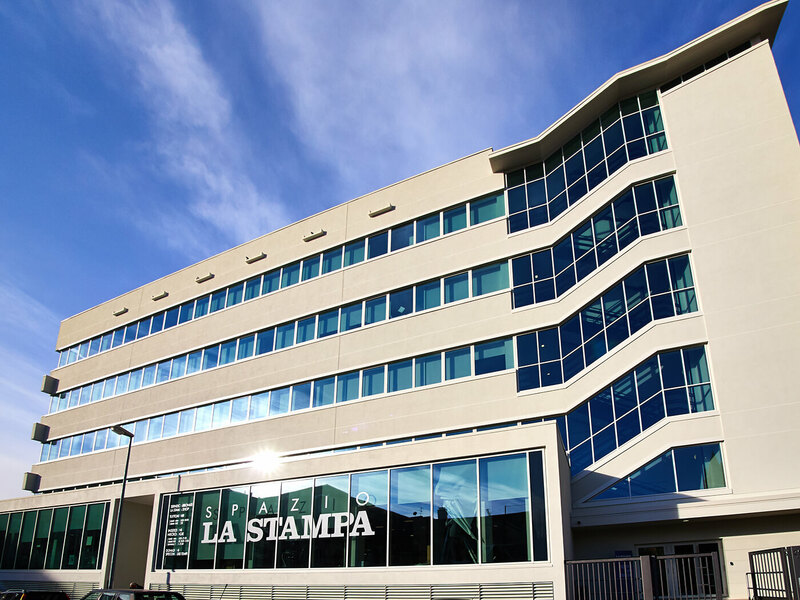 The new office of la Stampa, called “enterprise”because of the analogy with the forms and the hyper technology of the famous spaceship of Star Trek, is characterised by a combinations of transparent sections, concentric lines and endearing designs. 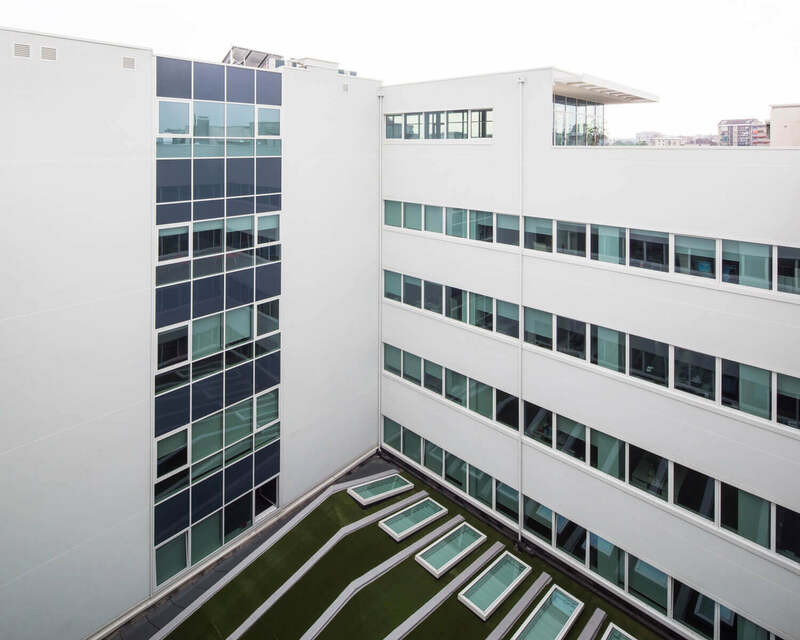 Color and graphics are instead the main characteristics of the Alpitour offices, of which the design recalls its corporate mission thanks to the coloured rooms located inside the open space, which seem like small floating islands in the sea.